The Ryoma di Milano Shareholding Company announces that is has acquired all the shares of Univer-bar s.r.l., a company from Galliera Veneta (PD), specialized in the production of cleaning solutions for the restaurant sector. Founded in 1979, the company stands out for essential craftsmanship combined with the use of modern production technologies and particular attention to market demands. The Univer-bar brand has always been one of the most outstanding leaders in the cleaning sector. 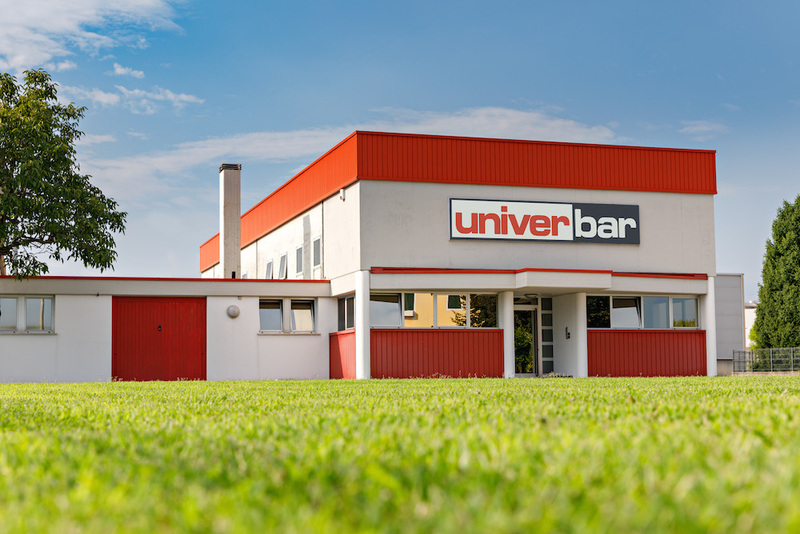 Ryoma is pleased to have completed the acquisition of Univer-bar, an enterprise with great tradition that has been able to keep pace with the times and which will be supported with a structured development project. For Ryoma the acquisition will mean a wider presence in the food equipment sector. ASTORIA HOSTS THE COFFEE TECHNICIANS GUILD SUMMIT 2017 IN GREENSBORO, NC! To work in the coffee industry, having a strong passion and motivation is not enough. In fact, it is essential to have a high level of professionalism in any role, in order to ensure that the qualitative standards of the end product and service are always first-class. During the Coffee Technicians Guild Summit, which Astoria has the honor of hosting at the Greensboro branch in North Carolina from the 20th to the 22nd of July 2017, the focus will be placed on the coffee machine technician, who, according to the Specialty Coffee Association, should be a formally-recognized professional figure. The Coffee Technicians Guild places emphasis on technician training, by organizing specific training lessons and sessions during this three-day period, in order to refine the coffee technicians’ skills. These technicians will be able to attend the Brewin foundation level module, a compulsory module for obtaining the certification. It will begin with a detailed look at using multimeterson a daily basis, the aesthetic and functional differences between the various models on the market and their usefulness for making accurate electrical diagnoses. The next module concerns water treatment, which is an essential element for producing excellent coffee. The technicians will learn how to check the quality, pressure and flow, understand how a different water can change the flavor of a coffee by tasting this for themselves, and also learn how to test the equipment in order to identify any water-related issues. A useful and important module will be devoted to the technical support side of the business. Attendees will learn how to manage customer requests on a daily basis and about the decisions that every business owner has to face in the immediate future. The documentary “Streets of Budapest” is meant to be Astoria’s tribute to two worlds, starting with that of specialty coffees, which was told in the first part of the video and has been Astoria’s passion for almost twenty years. The second is the world of art, which has been the underlying theme during Astoria’s three-year sponsorship of the World Latte Art Championships and World Coffee in Good Spirits Championships, and is the main theme of the video we launch today, the second part of the documentary “Streets of Budapest”. It all started in 2015, with the comic strip at the Nordic World of Coffee trade fair, held in Gothenburg, Sweden; the following, at the Hotelex, in Shanghai, we paid homage to Chinese calligraphy. 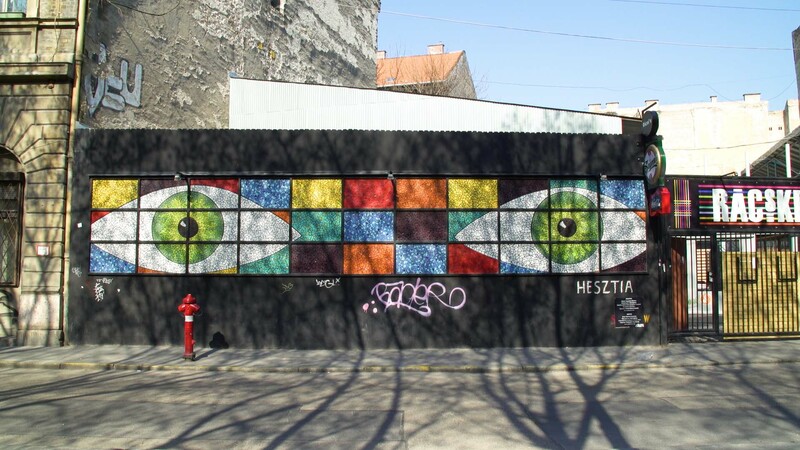 Today, the protagonist is street art, in the form of stencils, spray or stickers, which is narrated by one of the artists who has been experiencing it personally: Gergely Void. WEGA IS NOW ON LINKEDIN! From now on you can find Wega also on Linkedin! Linkedin, a business social network, will allow us to chat even more with you, our customers and suppliers, and to keep you constantly updated about our news. Wega success has always been linked to our desire to listen and talk to our network of contacts. This is why we challenge ourselves every day to meet your needs and requirements in the best possible way. We look forward to meet you on Linkedin! Click here to follow us on Linkedin! WEGA TO BE SOLE SPONSOR OF THE 2017 ESPRESSO ITALIANO CHAMPION GRAND FINAL! On Wednesday 10th May, Wega will host one of the heats of the Espresso Italiano Champion competition at its own headquarters. The competition was established in 2010 by the Italian Espresso National Institute (Inei), and has been an international competition since 2014, quickly gathering support not only in Italy, but also in Europe and Asia. The format requires the competing baristas to battle it out to prepare four espressos and four cappuccinos in just eleven minutes. The main difficulty is that in the allotted time they must also calibrate their grinders – and, of course, clean their work station at the end. The selection on the 10th May will allow just one winner through to the Italian semifinal, where the barista going on to the grand final at Host Milano (taking place from 20th to 24th October) will be decided. 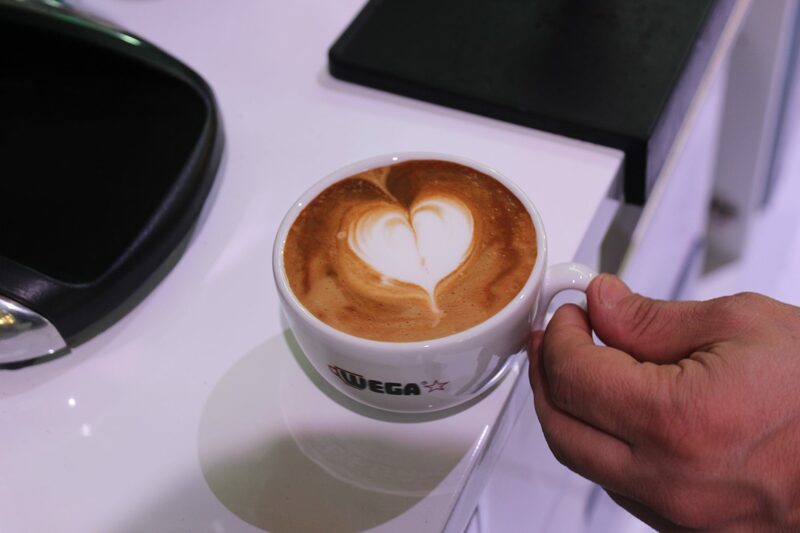 The final will be hosted by Wega on a stand designed to meet the competitors’ needs. 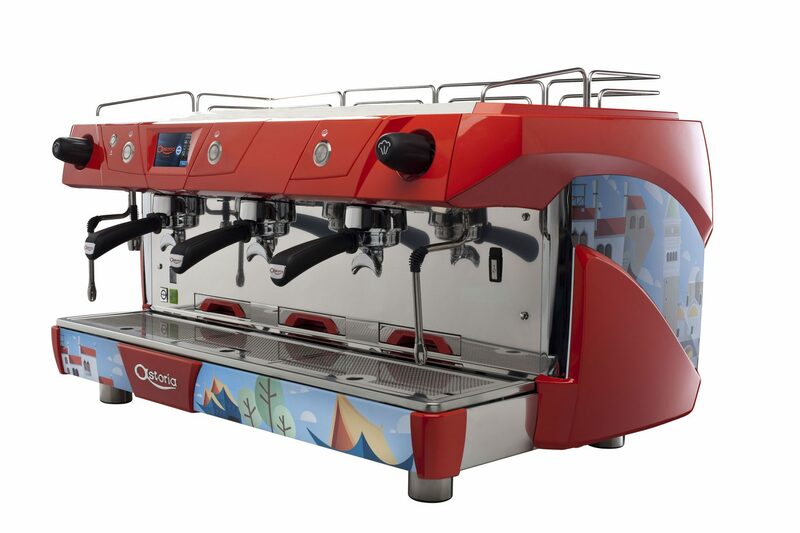 The competition machines will bear a specially customised design inspired by this year’s coffee bar trends. Good luck to all the participants: the best of you will get to meet each other on the Wega stand (Pav. 24P / Stand D52 – D60) in October! ASTORIA SPONSORS THE USCC LATTE ART THROW DOWN IN SEATTLE! Next April Seattle will host the 2017 edition of the Global Specialty Coffee Expo, one of the most appealing events to all the specialty coffee lovers around the world. On the occasion of the Launch Party, organized on April 20th at 6 pm at the Seattle Paramount Theater, the most creative and skilled US baristas will compete against each other during the United States Coffee Championship (USCC) Latte Art Throw Down. During this single elimination tournament organized by the Specialty Coffee Association (SCA), that will give the 32 participants the opportunity to show their abilities, the official espresso machines will be Plus4Champions, specifically designed to guarantee a constant quality both during extraction and brewing of the espresso in high level competitions like these. One of the peculiarities of this competition is the kind of milk the baristas are going to use, that will be of vegetable origin. At each round the competitors will have to prove to be able to make excellent cappuccinos using soy, almond, coconut and rice milks, then choosing one of these to use during the finals. Judges will evaluate the visual quality of the foam, the contrast between the surface of the espresso and the milk, the position and dimensions of the pattern in relation to the cup, the originality of the idea and the level of technical difficulties required to realize it. They will then crown the winner, who will receive an Astoria espresso machine as prize. Wega, which already has a presence on Facebook, Twitter, Instagram and Youtube, has now added Pinterest to its online portfolio! A social network famous for being a genuine virtual noticeboard, Pinterest allows users to create ‘walls’ where they can put up their favourite images (known as ‘pins’). Wega’s profile is divided into different ‘boards’ dedicated to its products, news, special projects, trade fairs and Blog posts. It’s one of the most fun and popular social media in the world – so we had to be there! Inspiring you with our recipes and daydreams, telling you about our special collaborations, sharing all the latest developments with you, showing you what we have to offer – and just getting to know you a little bit better! CORE600: ASTORIA MACHINES HAVE NEW LINES! Core is the new class of Astoria machines that cleverly conjugates design, functionality and passion, in a unique and inimitable combination. The first born of this line is Core600, a machine that distinguishes itself with its functional design, in which simple and modern lines merge into user-friendly interactivity, made possible by a number of innovative features. Among these, Sensitive Touch Buttons (STB), the new retro-lit sensitive keypad of Core600, which, with the slightest touch, allows the bartender to easily select the coffee to be dispensed, avoiding loss of screen sensitivity due to wet fingers, coffee powder or impurities. The cup warmer has been re-invented and has become a designer lamp, with led lights that can be customized where brightness and color are concerned, enhancing the three-dimensionality of the machine, returning it to being the focal center of the place and providing atmosphere to any ambiance. Designed to enhance the refined shapes of Core600, the steel sides, satin-finished or varnished depending on the area in which it will be installed, provide a machine with the sturdiness needed to be knock, wear and corrosion resistant through time. Inside Core600 beats the very heart of Astoria, a combination of tradition, technology and a veritable passion for espresso. Astoria Macchine per Caffè is set to update its image and launch a new logo in a strategic move that reflects the company’s growth and its vision of the future. These aspects, together with the company’s willingness to experiment and try out new ideas, confirm its position as one of the leading brands in the international coffee business. Continuity and the company’s longstanding manufacturing heritage are represented by the traditional Astoria red and the retention of the original “A” with its distinctive flourish, which has been part of the company’s history since its creation in 1969. The flourish has been elongated and streamlined to make it softer and more sinuous. The lettering of the rest of the logo, meanwhile, has been completely updated to give a look that is dynamic, incisive and modern and that truly conveys the identity of a company that is launching itself wholeheartedly towards tomorrow. In addition to the new logo, the company has also introduced a new distinguishing feature, a company emblem. The emblem encapsulates the entire history of the brand. In it, the “A” of Astoria, unique, unmistakable and iconic, forms the distinctive symbol of the company, preserving its heritage and at the same time leading the company towards new goals. “Our new logo and emblem represent our desire to constantly improve and aim for excellence through an evolving journey rich in new ideas and sources of inspiration that come from all around us – from the experience we have gained through almost 50 years in business and from our ability to work and share our values with people who bring so much passion and skill to our business to create wonderful coffee machines” emphasises Astoria’s President, Federico Gallia. Wega Macchine per Caffè is airing a new commercial to mark the official launch of its new IO machine. 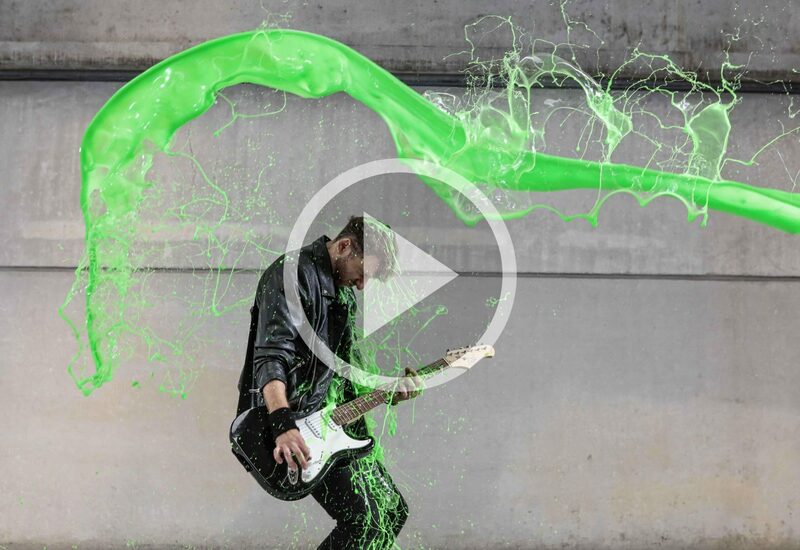 The commercial highlights the young, funky style of the IO with a spectacular riot of colour – all to the fast, catchy beat of a dubstep song. A contemporary urban-style loft, the perfect reflection of Wega’s Strong&Tough style, is suddenly lit up by an explosion of colour. Centre stage is none other than the new IO, a real gem of design and technology, in its three colour options – Brilliant Orange, Acid Green and Pearl White. With them is a barista who, as he puts the filter holder into each machine, causes a jet of orange, green or white to spray out, hitting three different people dressed in black: a hip hop dancer, a skater and a rocker. No words, just images, while the key message of the commercial appears at the end, alongside the three machines and the slogan “COLOUR YOUR COFFEE”. 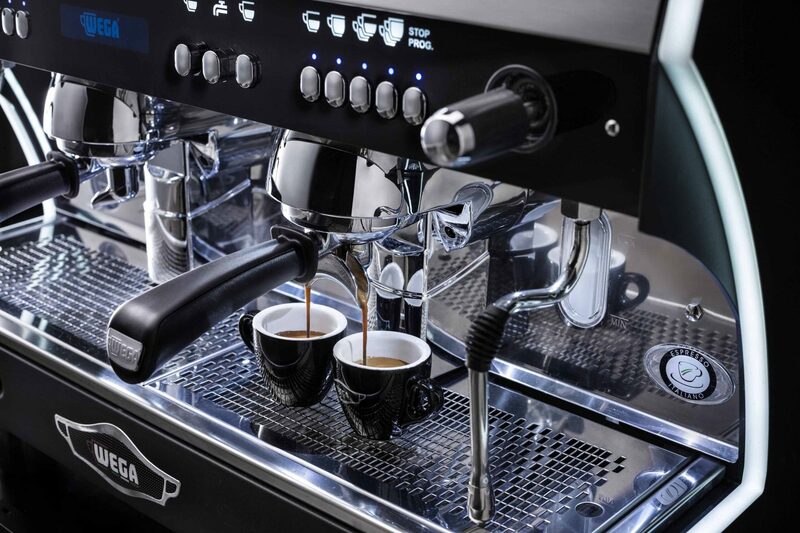 The message couldn’t be clearer: this latest addition to the Wega range will bring style and energy to any setting, at the same time offering all the taste and quality of authentic Italian coffee. 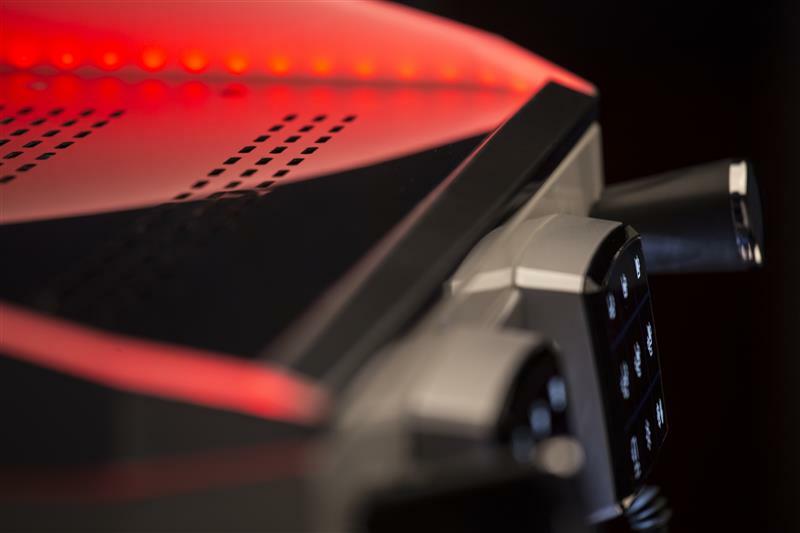 The new IO is a machine that stands out from the rest. A symbol of fashion, creativity and style, it is perfect when space is limited or consumption is lower, with 1-unit and 2-unit COMPACT models available in addition to the classic 2-unit model.